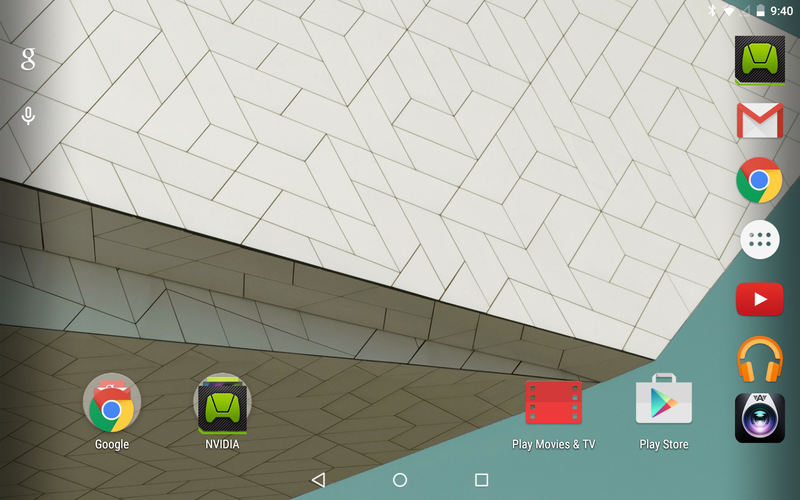 Nvidia’s Shield Tablet is among the first non-Nexus devices to get Android 5.0 Lollipop, and it starts rolling out today. 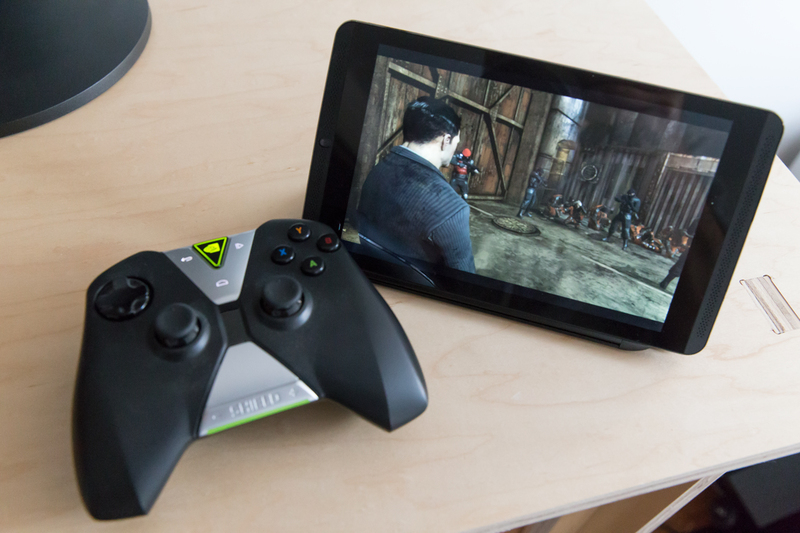 I had a chance to spend some time with both the update and with Grid, Nvidia’s streaming Netflix for games that also launches in North America today, and both of these offer considerable improvements for Shield Tablet owners. The changes are so dramatic, in fact, particularly in the case of what Grid provides, that it feels almost like you’re getting a whole new device with the software updates, and the Shield Tablet was a strong performer to begin with, as you can see from our original review. If you haven’t yet experienced Lollipop, I’ll just reiterate that it’s one of the best mobile platforms I’ve ever had the pleasure of using. Google’s careful attention to design details is preserved in the flavor that Nvidia is using to outfit its Shield Tablet, too, as there’s very little deviation from the stock build to be found here. Lock screen notifications, animations, icons, the notification drawer and settings are all what you’d expect on a Nexus device, and all work wonderfully on Nvidia’s hardware. But Android 5.0 doesn’t just offer up prettier UI elements and a few new software features: It also has built-in improvements to the core graphics technology behind Android that mean the Shield Tablet’s already-impressive performance gets a boost from OpenGL ES 3.1 and the Android Extension Pack. Nvidia claims it means games on mobile can now match the level of console and desktop PC titles, and based on some demos of upcoming engine improvements that looks to be the case. The general software update also ships a new and improved version of Shield’s Dabbler software, which now includes layers as well as live broadcast of your drawing sessions to Twitch, which is an interesting use case that will allow artists to livedraw their creations complete with audience feedback. It’s still not a desktop class digital drawing experience with full pressure sensitivity, but it’s a much-improved app overall, and great for capturing rough sketches and ideas on the go. Nvidia has also bundled improvements of its own in the OTA update, including support for 4K video output while in console mode if you have a 4K TV handy. That’s a huge improvement for next-gen gaming, and for video, but it’ll take a while before the software is there to truly show this feature off – for now, while it renders text and other resolution-independent elements wonderfully, you’ll notice fuzziness while other content strives to upsample. Other improvements on the Shield software side include support for USB Y-cables, which let you connect to Ethernet via USB-Ethernet dongles and charge the tablet at the same time, and general improvements to memory optimization, performance, GPS, Wi-Fi and faster battery charging. 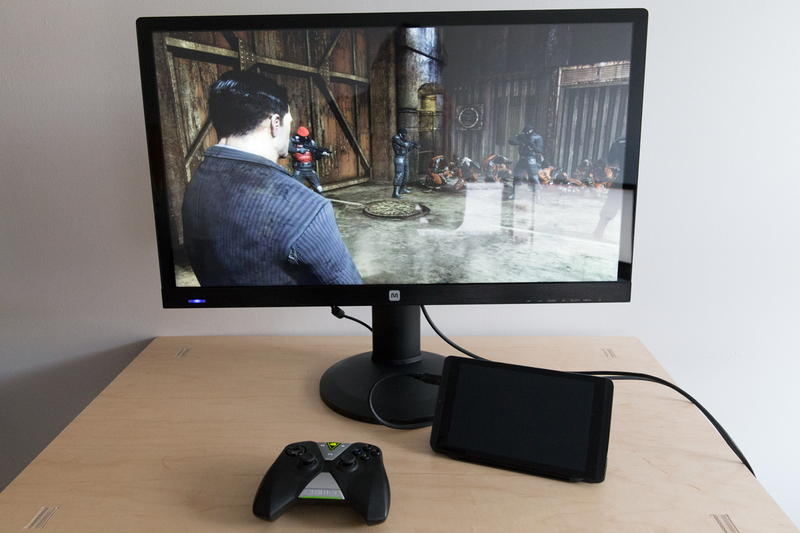 The Shield Tablet was already one of the best mobile gaming devices money could buy, thanks to both a growing library of native Android games including the new Half-Life 2: Episode 1, Oddworld’s Revenge and other software the company seems committed to keep producing, as well as to its remote Gamestream technology that lets you play over local and remote Wi-Fi games that are installed on your primary gaming PC. Grid is something else entirely, however – the dream of OnLive and others fulfilled, with excellent, full-quality 720p top-tier console titles streamed directly to your device, smoothly, with incredible low latency and almost no indication that you aren’t playing locally. I tested out Grid, which is initially available only in North America and free to Shield owners until June 15, in multiple wireless environments, with different connection speeds. The minimum 10 Mbps connection with maximum 60 ms of ping isn’t asking too much relative to general broadband quality, and GameStream-ready routers, while top-notch aren’t outlandish anymore and basically just need 5GHz Wi-Fi channel and 802.11ac or n connectivity. I never had any issues with streaming quality or latency, and in some cases performance seemed to top what my impressive home desktop rig is capable of, especially during visually demanding cutscenes. Grid has a library of 20 titles at launch, and promises to deliver new ones every Tuesday. The games aren’t the latest and greatest, but they’re pretty close – Borderlands 2, Arkham City, Darksiders II and more still provide ample opportunity to marvel at what Nvidia has accomplished in a streaming games service here. This isn’t the hacky, buggy experience you may be used to if you tried streaming games offerings back when they first came out and have since stayed away; it’s what the future of the market looks like, and anyone dreaming of a proper ‘Netflix for games’ should be very excited right now. If you were looking for a reason to pick up a Shield Tablet, this update is it. The Grid gaming service alone, with a subscription that’s free for device owners for around the next seven months, is worth the price of purchase if you’re looking to get caught up on some gaming classics without the cost of purchasing each, or if you’re just looking for something that offers plenty of choice and minimal commitment. Grid aside, Android 5.0 has a lot to offer the Shield Tablet, and again makes this one of the best Android devices you can buy in this price range, especially given that it gets its taste of Lollipop long before competitor hardware. Too often, new Android hardware seems forgotten almost as soon as it’s announced, but Nvidia has done a particularly good job of making sure they continue to add value to devices throughout their life span, and the Shield Tablet feels especially reinvigorated with this fresh new crop of updates and services.